Laguna Beach Unified School District is widely recognized as an outstanding district throughout Orange County and the state. This reputation for quality is a result of many factors. First, Laguna Beach is a district with a clear, unwavering focus on student learning. Our students experience the very best teaching and learning strategies based on research and strong professional development. Student achievement has increased year over year and our students are among the highest-achieving students in the state. The District is recognized for the quality of leadership on the school board and in the schools. Our school board members are truly committed to public education. They provide the District with the focus and oversight needed to ensure that we are able to serve our students well, with an emphasis on the whole child. Our principals work closely with our teachers and staff members to set high goals and then work diligently to accomplish those goals. In Laguna Beach Unified School District, we are incredibly fortunate to have strong community support as shown by the PTA, SchoolPower and the SchoolPower Foundation. The continued support and investment of these organizations has allowed us to provide a truly exceptional learning environment for our students, who are able to choose among a wide array of activities and learning experiences. Together, we are providing a sterling education for our students, who are the future leaders of our country and our world. We are confident their experience here in the Laguna Beach schools will launch them into a successful future. LBUSD embraces cultural proficiency, including self-awareness of how each student’s ethnicity, culture and life experiences may impact others. This is an ongoing process that needs to be continually woven into our school and community culture. It is everyone’s responsibility to maintain a welcoming and inclusive community of which we can all be proud. 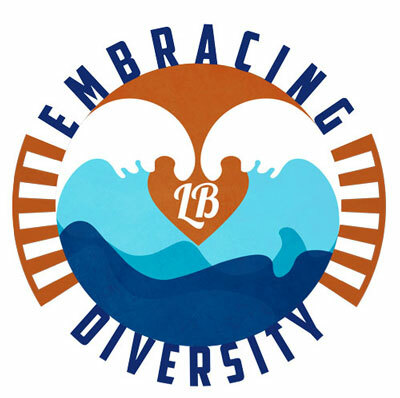 Working with our community partners, LBUSD will sustain a climate that values diversity and fosters inclusion to equip our students with the values they need to be global citizens. While this work is not always comfortable nor easy, it reminds us that we individually contribute to the fabric of our community.